There’s nothing temp about MAC’s new “Office Hours” collection which gives you every reason to wear makeup for a long time without worrying about budging and smudging. As for the new Marilyn Monroe collection? Va va voom! Makeup for the workplace? That happened decades ago. But makeup that really stays budge proof throughout the work day? 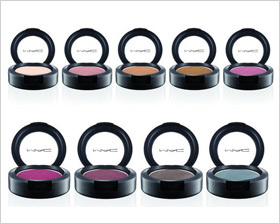 Not a lot of brands can say they do that: MAC’s new Office Hours collection certainly can. There’s nothing temporary about this collection, and here’s why we love it. 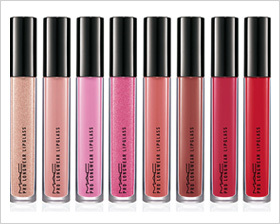 All in all, it’s a very pink collection, with lipglass shades ranging from the warm nudes to the neutral rose. The range of shades is also ideal for women of all skin tones. 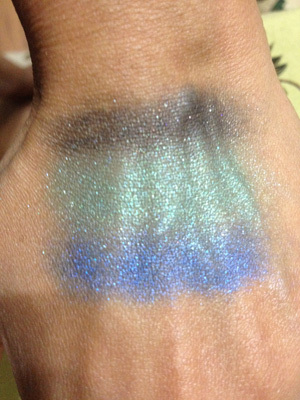 Best of all, the lipglass goes on nice and thick and stays true to color for a very long time! 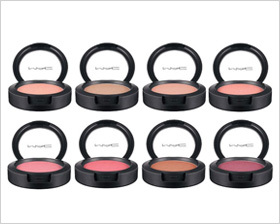 The eyeshadows, too, are predominantly hues of rose and gray blues, which are fast becoming must-have shades for fall. They’re definitely more matte than sparkly (compared to the Electric Cool collection, this is much more matte and office-friendly). We also love the fact that these shades are innately office wearable: nothing Dame Edna-ish about them at all. In particular, Forever Rose is a charming lipglass shade to wear on all skin tones, and is decidedly fresh (perfect for both fall and spring). MAC’s Office Hours is available online and in stores starting Sept. 6.